Heads up, Colorado peaches lovers! 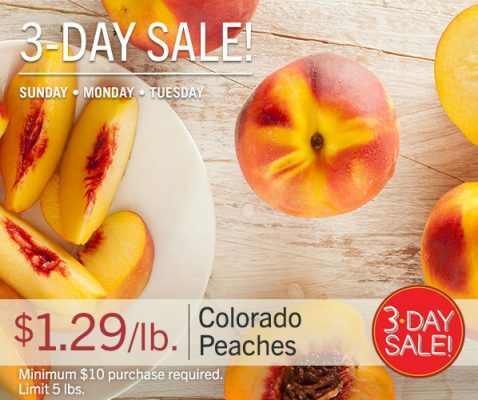 Lunds & Byerlys is having a 3-day sale from Sunday – Tuesday (August 19 – 21) in which you can get Colorado peaches for just $1.29/lb! Note that there is a limit of 5 lbs while supplies last and a minimum $10 purchase is required to get the sale price.